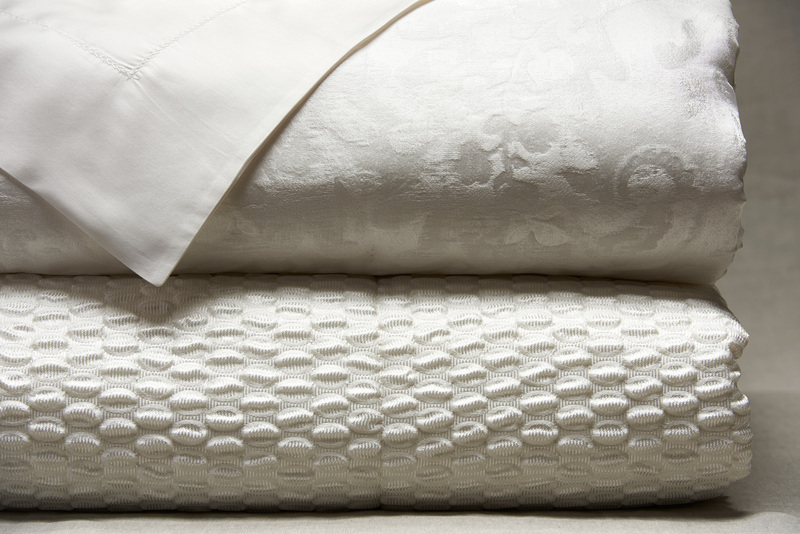 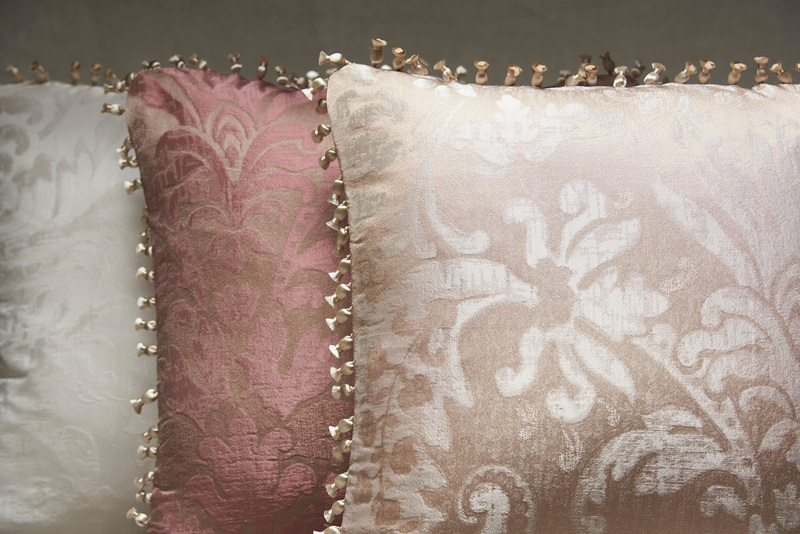 Quilt and pillows, framed by fringed pompom for atmospheres from Oriental scents. 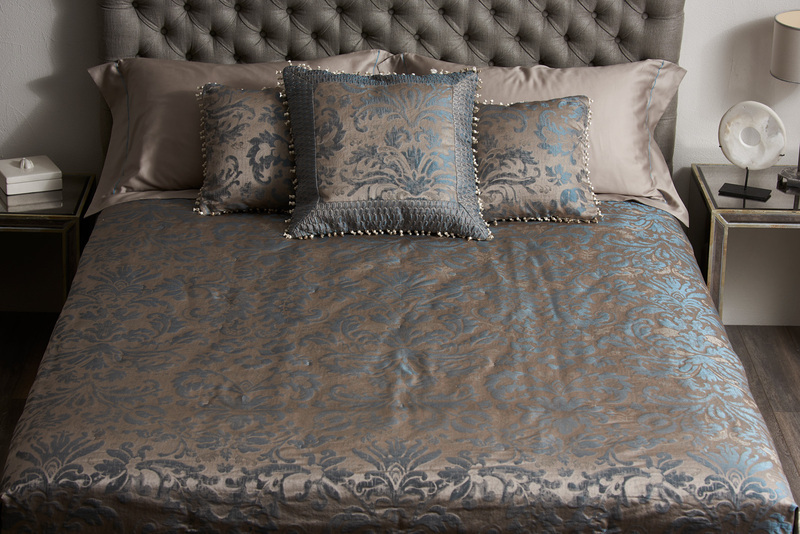 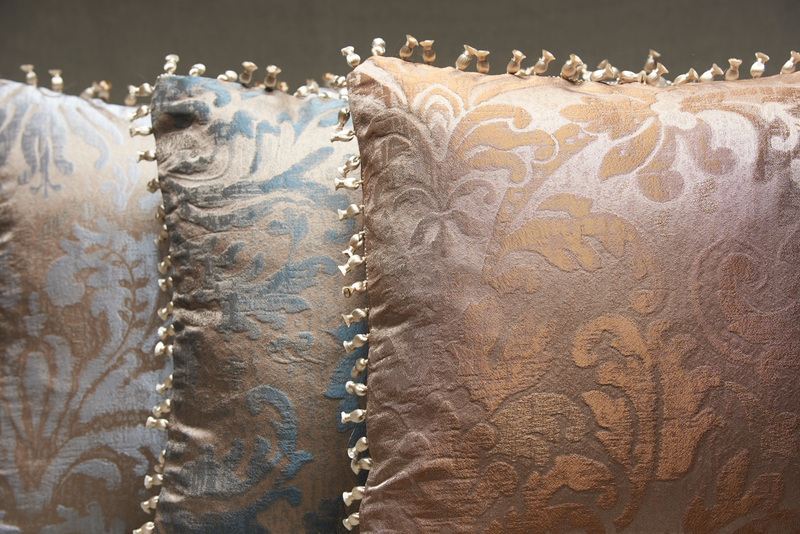 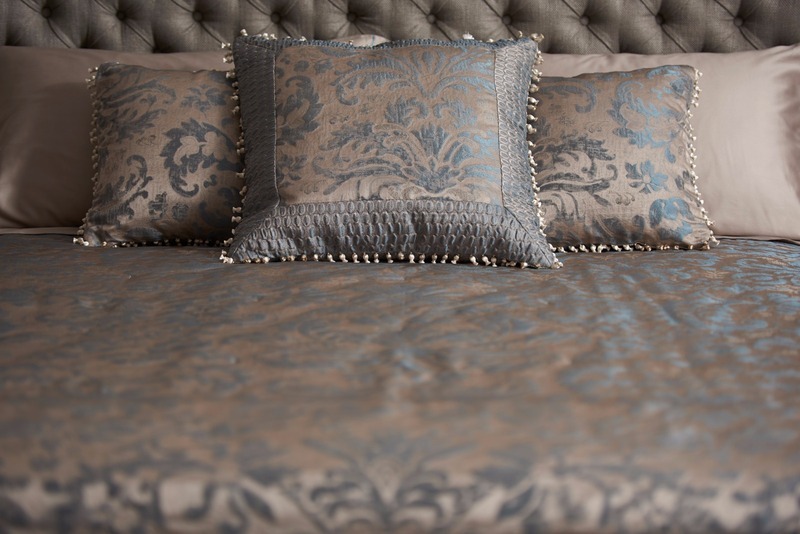 The pillowcases are cotton satin with small thorn decoration. 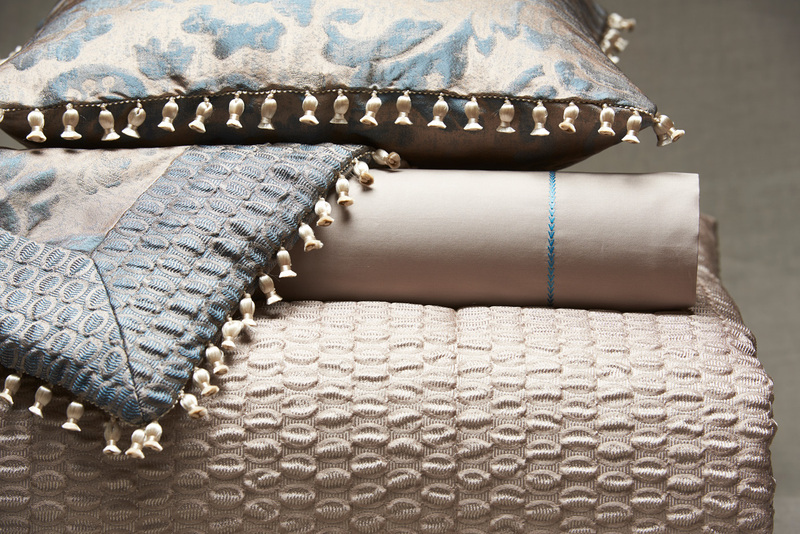 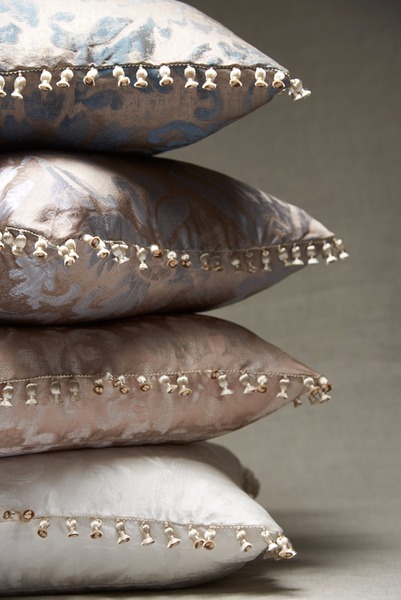 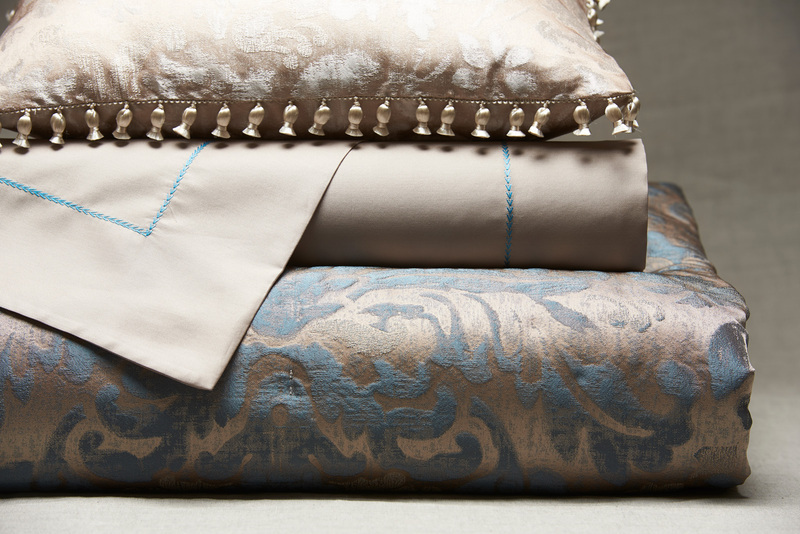 Revisited with stylized embroidered elements with degradé mélange very refined effects.